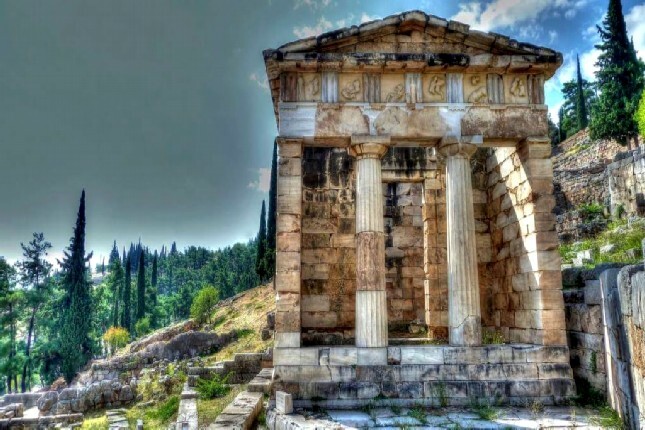 Immerse yourself in the myths and monuments of Delphi and have a taste of the mountainous part of Central Greece on this full-day private tour from Athens. 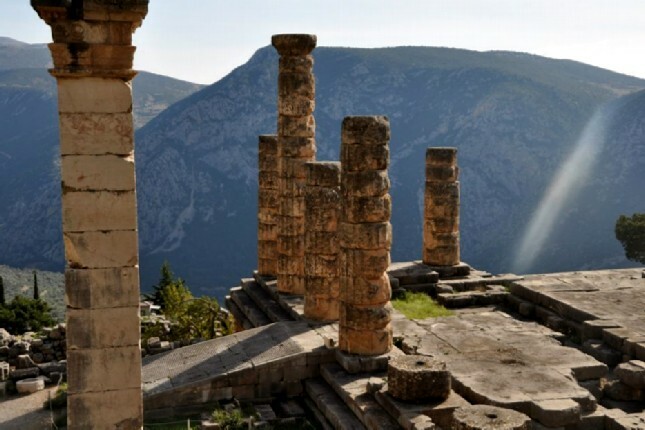 Experience first hand the divine atmosphere that surrounds the historic site of Delphi at the foot of Mount Parnassus. 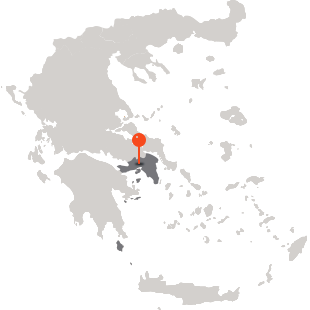 Walk through history and discover the place that ancient Greeks regarded as the naval of the world. 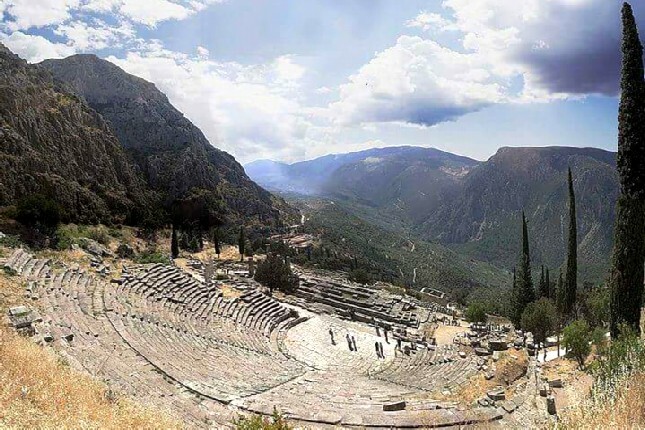 Explore the UNESCO-listed archaeological site of Delphi and stand in awe before the dramatically situated Temple of Apollo. 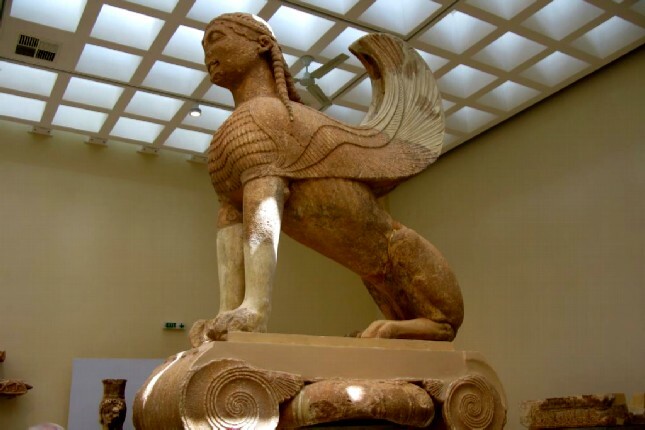 Discover long-lost wonders at the Delphi Archaeological Museum, including the Charioteer of Delphi and the Sphinx of Naxos. 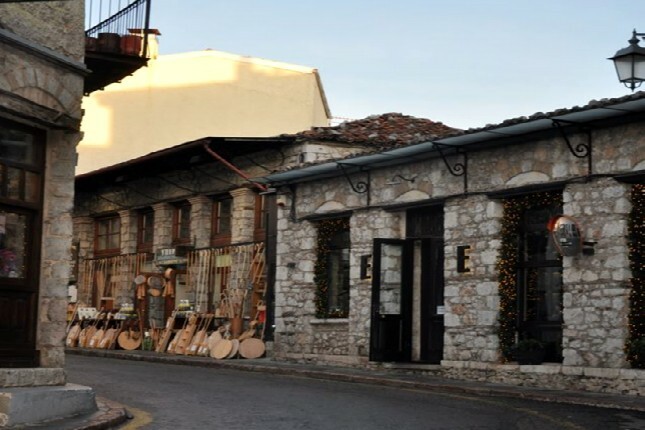 Visit the traditional village of Arachova, famous for its hand-woven rugs as well as its dairy products. Prolong your tour by visiting the Hosios Loukas Monastery of the 12th century AD, listed on UNESCO's World Heritage Sites. Drive by the plains of Marathon, where the famous battle was fought, and Thebes, home of the tragic hero Oedipus. Then on past Levadia and Arachova, on the foothills of Mount Parnassus. There, the scenery becomes much rockier and dramatic. While many times, you can still see snow on the impressive ridges of the mountain, on the other side of which lies a big skiing center. Arriving in Delphi, we make a short stop at the sacred Castalia Spring where the ancient pilgrims would purify themselves before consulting the famous oracle. 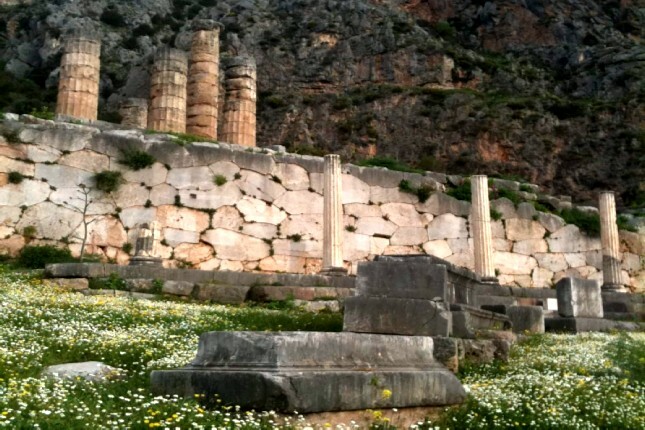 Dig deeper into the history, culture, and myths of the archaeological site of Delphi. 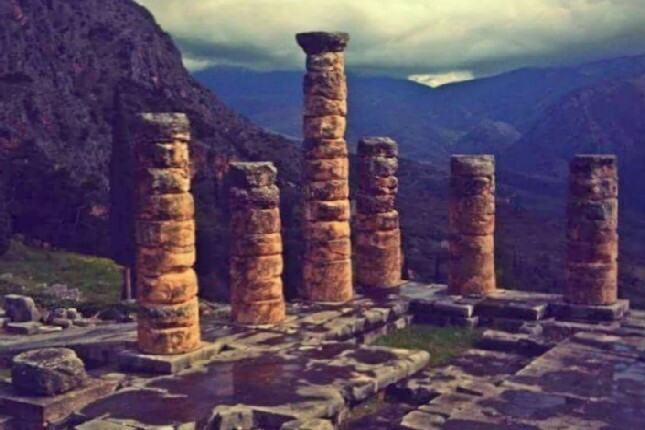 This site was home to the legendary Oracle of Delphi, whose prophecies were widely influential in the ancient world. Explore the masterfully crafted Temple of Apollo. Carved onto the temple were the philosophical phrases: γνώθι σαυτόν (gnothi seauton = know thyself) and μηδέν άγαν (mēdén ágan = nothing in excess). Do not miss the restored Treasury of the Athenians and the ancient theater or even to the ancient stadium which is at least a 20-minute hike uphill. 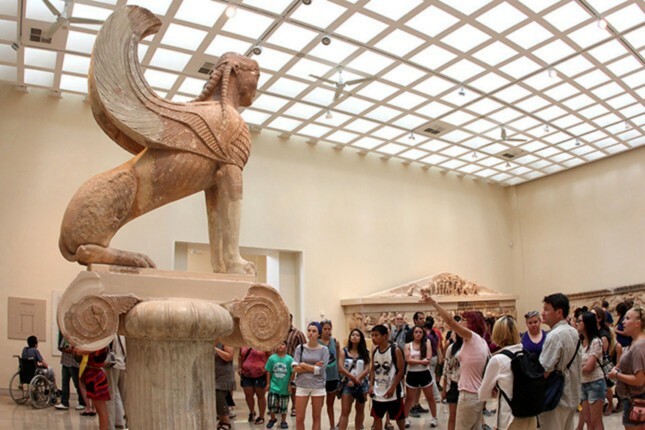 Enjoy a private tour of the Archaeological Museum of Delphi, one of the most important archaeological museums in Greece. Board your vehicle and visit the nearby ancient gymnasium, the palaestra, the site of Athena Pronaia and the Tholos, the view of which you will have from many parts of the site of Apollo. 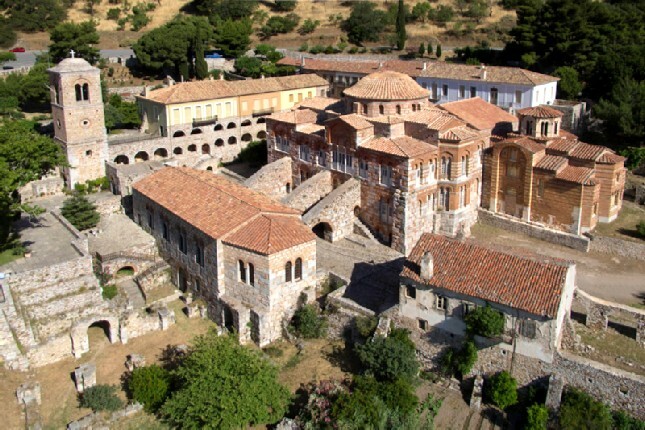 Optionally, on the way to Athens, you can extend the tour's duration by making a deviation and a stop to visit the famous monastery of Hosios Loukas, a UNESCO monument of the 10th century AD, situated amid beautiful natural surroundings.